Due to the cancellation of Southampton’s “Super Power Con” event, many Power Rangers fans have found themselves stranded and in need of entertainment! KAPOW Wrestling invites these fan to become KAPOWer Rangers and join us for a special Pre-Show Meet & Greet event. Over the summer “Dashing” Ant La Dash has been tearing up the British Wrestling scene with his own brand of conceited villainy. So KAPOW Wrestling have called on the services of the original British Wrestling superhero “The Wonderkid” Jonny Storm to bring him down a peg or two! 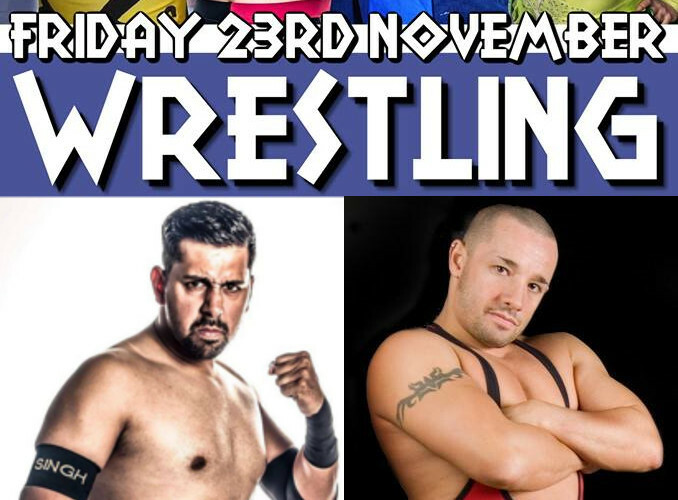 When KAPOW Wrestling comes to Hayling Island, we are bringing with us two of the hottest talents in the UK today: “The King” RJ Singh and “The Wonderkid” Jonny Storm!